Earrings are a wonderful personal accessory adorned since ancient times. They represent style, flair and personality. They are an essential jewellery accessory in creating a special look but choosing the desired style with the wide variety available can sometimes be challenging. Stud earrings are a classic but simple design and are always a fashionable favourite as they are versatile and lightweight. 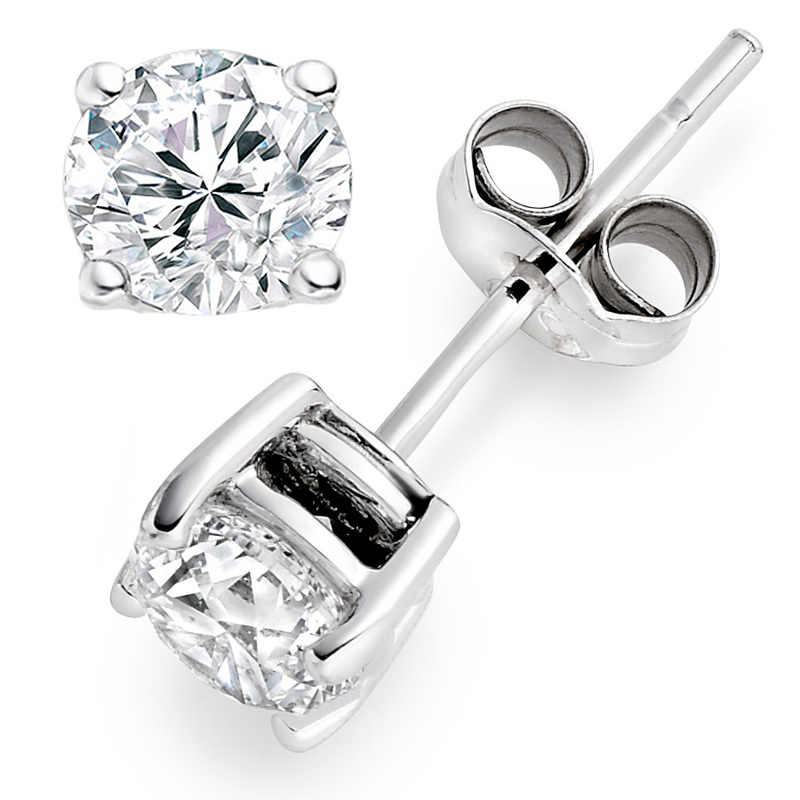 Stud earrings include a small component that fits through a small hole the earlobe and do not dangle down. From the front view, the earring has the appearance of “floating” on the earlobe without a visible connection. Hoop earrings are available in a wide variety of shapes and sizes and have long been a classic jewellery accessory that never seem to go out of fashion. Typically, they are a round or oval loop shape and resemble a ring that goes through the ear lobe and hooks in the back. 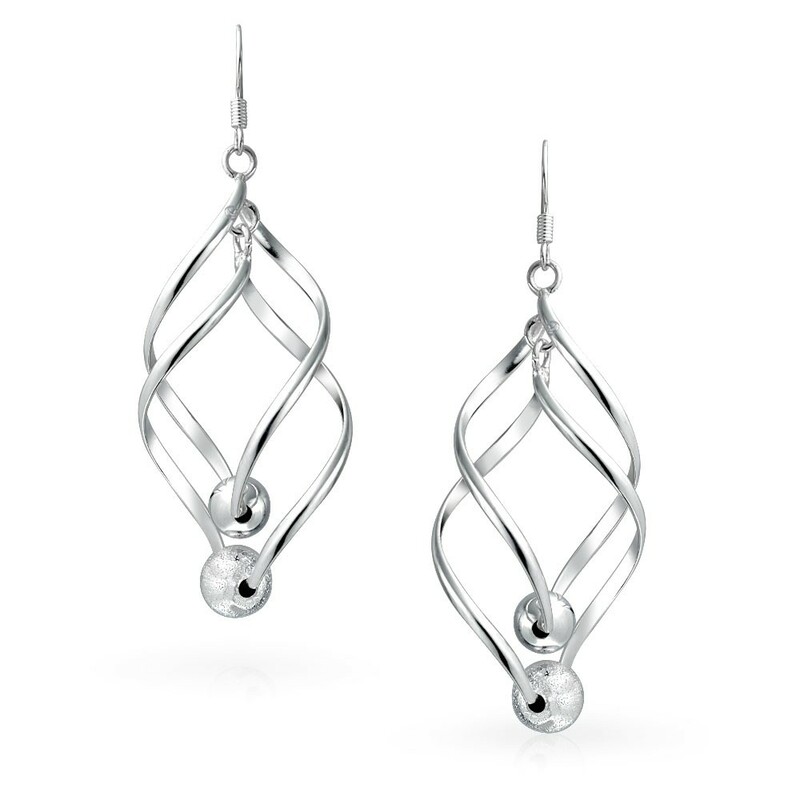 Drop earrings consist of an attachment to the ear and some ornament that hangs from the attachment, enabling them to hang in a straight line. Available in a variety of shapes and sizes, dangle earrings are a type of drop earring that is designed to dangle and sway from the bottoms of the earlobes. 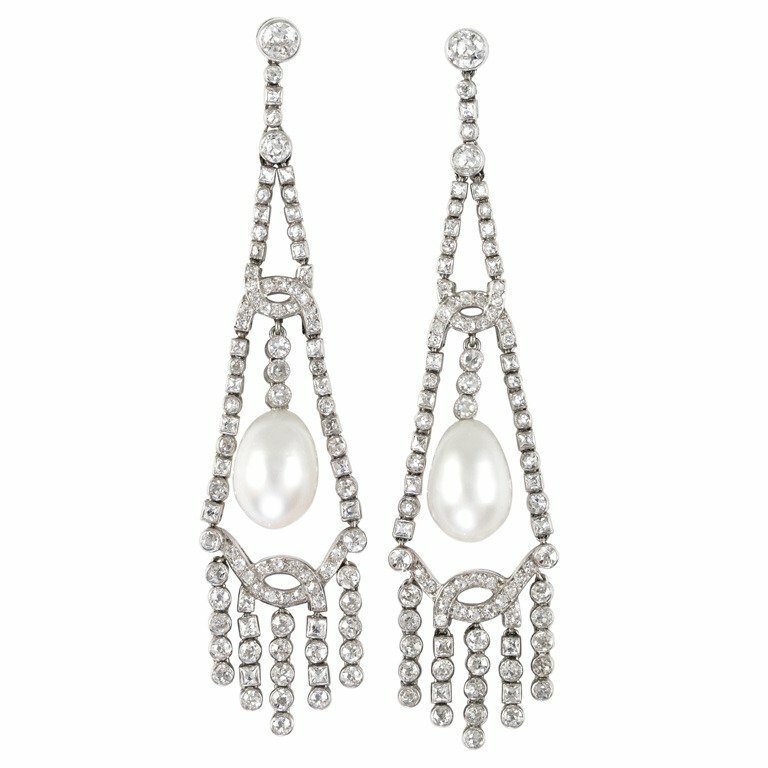 This multi layered earring design as the name implies looks like the shape of a chandelier and are highly embellished. 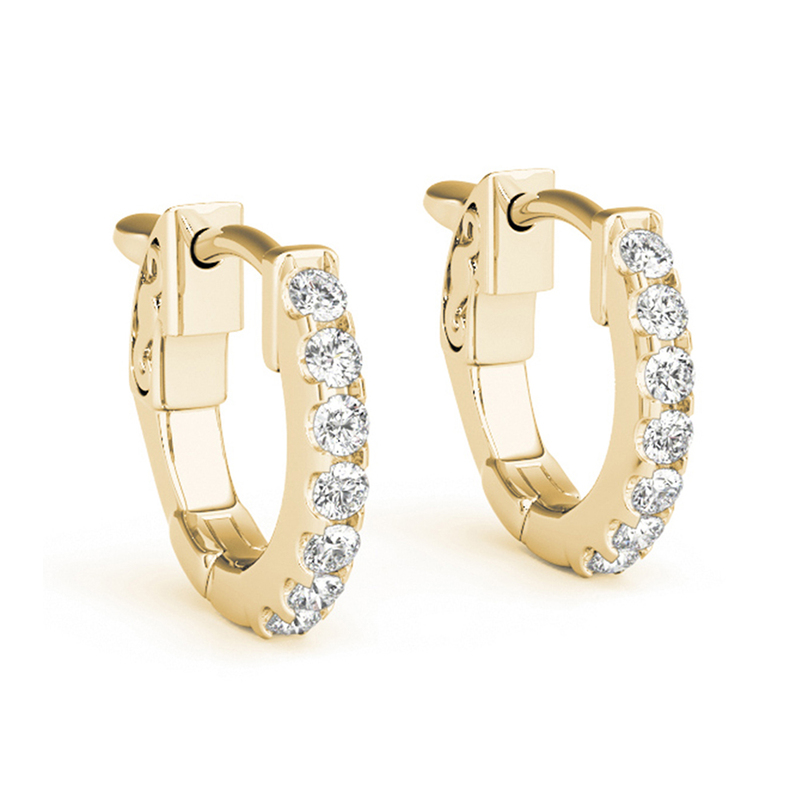 Huggie earrings are a popular variation of the hoop style earring. 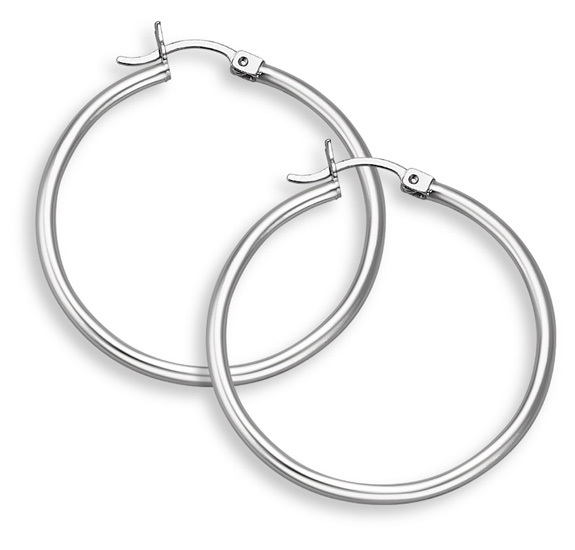 They are typically smaller than hoops have a setting that hugs your ears to secure the earring in place. Earring back types refers to the mechanism by which your earrings connect to your ear. Choosing the correct type requires careful consideration taking your personal comfort and your earring security into account. Push backs are also known as friction or butterfly backs and are the most common and favourite earring backing style. Generally, the simply designed backing is butterfly shaped and made from metal or silicon. Relying on friction, you secure the earrings by sliding the backing right up the earring post until firmly secure. 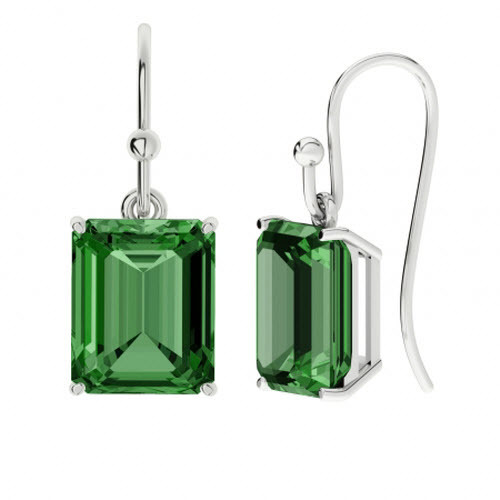 They are commonly used for stud earrings or lightweight drop and dangle earrings. Screw back are more a secure stud backing than push backs as the backing is screwed onto a grooved post. They provide the highest security but take slightly more time to put on and are in most cases used with more expensive earrings (e.g. Diamond stud earrings). Latch back (also known as a French fastening) is a hinged backing mainly used with hoop earrings. They are extremely popular because the fastening hides behind the earlobe and is almost invisible, giving the appearance of a continuous loop. This backing resembles the shape of a fish hook and consists of a long hook-shaped wire that goes through the ear piercing. They are very easy to wear and remove. Lever back fasteners are curved like the fish hook with an enclosure that latches behind the ear to complete the hook. This type of earring backing is very secure as it avoids the hook slipping from the hole in the ear. 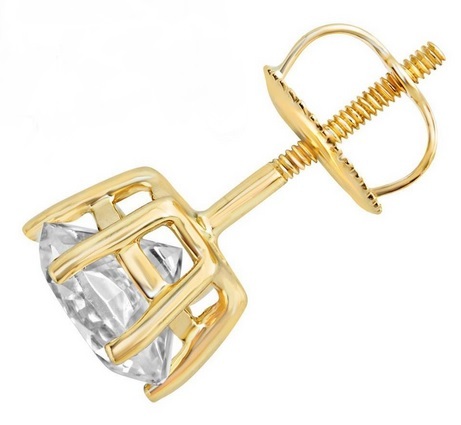 If you do not have pierced ears, then you will have to rely on Clip earring fasteners. This style includes a clip on a hinge that latches onto the earlobe to hold the earring in place.